" Life goes on with you or without you"
George Harrison was a loved person. Most people know him as the quiet Beatle in the middle, but some know him as a human being. The people who think he was the guy who played guitar in between Paul McCartney and John Lennon. He was more than just a guitar player, he was a human being. George Harrison was born on February 24, 1943 in Liverpool, England, and died on November 29, 2001 of lung cancer in Beverly Hills, California. In 1943 he joined a band called the Quarry Men whose members were John Lennon and Paul McCartney. He was the lead guitarist at age 15. They changed their name to The Beatles in 1960. His influences came from Carl Perkins and Lonnie Donegan. This helped established the sound of the Beatles in the early years. George Harrison in 1974David Hume Kennerly [Public domain]George Harrison wrote some of the hits the Beatles had like; "If I Needed Someone," "Taxman," "While My Guitar Gently Weeps," "Something," "Here Comes the Sun," and "I Me Mine." In the later years he suggested that they stop live performances because they couldn't hear themselves play. He loved Indian music and the first introduction was in 1965 on "Norwegian Wood," and then later wrote "Within You Without You" which was played on a sitar. When in the sessions for Let It Be he would storm out and would later return, he regarded the glare of fame. "They used us as an excuse to go mad, and then blame it on us." 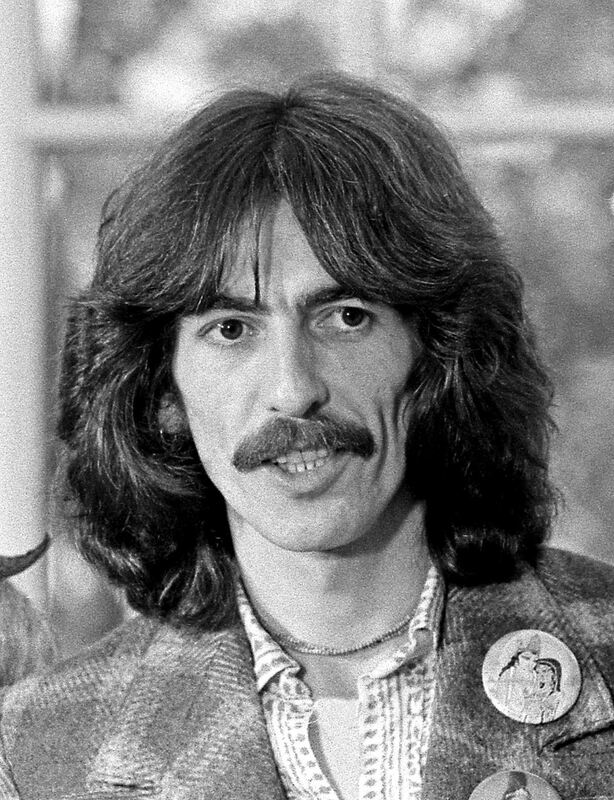 George was the first one of the Beatles to have a successful solo career; he released All Things Must Pass. His song writing ability was overpowered by John and Paul. 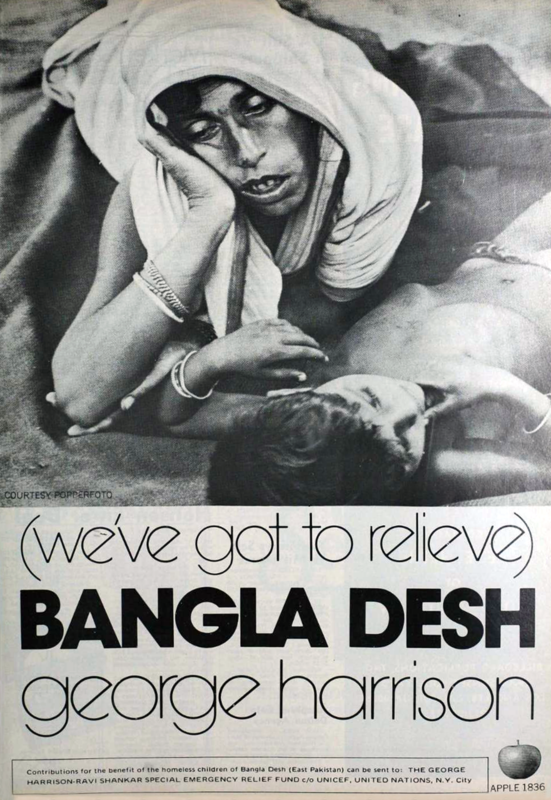 Trade ad for George Harrison's single "Bangla Desh".Apple Records [Public domain]Harrison held a benefit concert for Bangladesh. It was rock n roll's first large-scale benefit concert, organized to raise money for war torn Bangladesh. It was held on August 1, 1971, at Madison Square Garden, the musicians who played for the concert were; Bob Dylan, Leon Russell, Eric Clapton, and Ravi Shankar. George Harrison inspired me in many ways. Mostly by his music I would say, but for what he did as a person really got me. Like the benefit concert for Bangladesh, and converting to Hinduism. I hope that this will give you some information on his life but I barely even broke the surface of his life.